President Donald Trump has vetoed a resolution passed by Congress to end US military assistance in Saudi Arabia’s war in Yemen. The European Union has approved its terms for negotiating a new trade deal with the United States. National Guard troops used special vehicles with tank-like treads to rescue stranded drivers in Colorado in the wake of a massive storm that unleashed heavy rain and snow on large parts of the United States. Chinese tech giant Huawei is launching a US court challenge to a law that labels the company a security risk and would limit its access to the American market for telecom equipment. Vandals responsible for a spate of racist graffiti appear to have struck again – this time with a spray-painted apology. President Donald Trump has branded film director Spike Lee “racist” for his political Oscars acceptance speech. One couple’s engagement party got a little sprinkling of stardust when Taylor Swift turned up to give a surprise performance. Firefighters came to the rescue when a dog and a tortoise got wedged together down a hole. 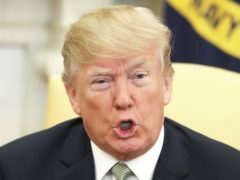 Democrats controlling the US House of Representatives have prepared a vote next week to block President Donald Trump from using a national emergency declaration to fund a wall along the US-Mexico border. Miley Cyrus has said she and husband Liam Hemsworth are “redefining” modern relationships. A 103-year-old woman has been sworn in as a junior ranger at the Grand Canyon National Park. 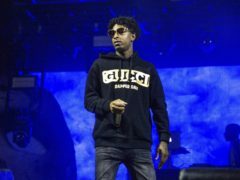 Rapper 21 Savage is being wrongly held by US immigration officials, his lawyer has said. 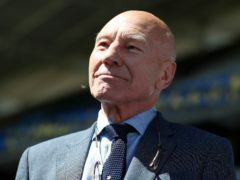 Sir Patrick Stewart has condemned the “self-interest” of politicians and said young voters could provide a better future. Ralph Northam, the governor of the US state of Virginia, has vowed to remain in office despite widespread calls for his resignation after a racist photo surfaced in his yearbook page from more than 30 years ago. 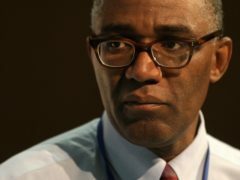 A United States governor has been urged to resign over a racist photo in which he appeared more than 30 years ago.